Seaward are specialists in the manufacture of domestic, commercial and industrial electrical safety testing instrumentation and precision instruments for the measurement of low resistance and temperature. Seaward’s wide range of test and measurement equipment offers equipment from portable appliance testers, to milliohmmeters, high voltage indicators and comprehensive hipot testers. All of these Seaward products are for use in various industries including manufacturing, construction, education, utilities, aerospace, calibration and anywhere else where there is a requirement for electrical safety testing or precision resistance measurement. 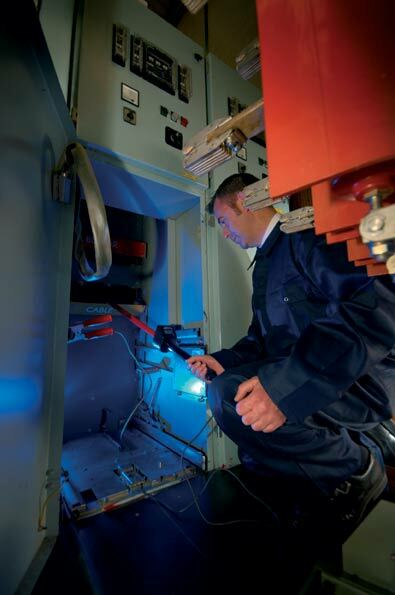 Seaward's high voltage testing equipment range has been specifically designed for the safe and practical detection of voltages on electrical systems in the power generation and distribution, rail network, petrochemical and electrical service and maintenance industries. The Seaward range of HV test equipment is in widespread use with test engineers and electrical power technicians worldwide, and has a longstanding reputation for accuracy, reliability and robust construction. The Seaward high voltage test range has been designed for use on power system voltages of up to 33kV, and includes ergonomically designed portable KD1E neon and digital voltage indicators, capacitive voltage indicators, PR circuit phasing equipment, insulator leakage detectors, Type L Plus large jaw current clamps & Halo Hook ammeters. Safety is an important factor for Seaward and therefore all Seaward high voltage testing equipment is fully compliant with international standards and is manufactured in compliance with IEC 61243.